Black Friday 2019 Deals for Bloggers - Not to Miss! Take advantage of these Black Friday deals for bloggers. You can score big savings on products and services that you will use all year long. Some of these deals are available early – so check now. I will continue to update the list throughout the Black Friday and Cyber Monday week. AppSumo offers great deals on services that bloggers need. If you are not familiar, you can read all about them here. I picked up some great offers on their site last Black Friday. DepositPhotos – the AppSumo DepositPhotos deal is back and it is available NOW! Get 100 photo credits for only $49 – this deal is stackable. Hike SEO – Most keyword tools are massively expensive and don't make it easy for you to build a good SEO strategy. Hike changes all that and is designed for small businesses who want to up their SEO game. Available NOW! As with all AppSumo deals, it is important to read carefully about what functionality and features are included in each deal to make sure it is right for you. So, do your homework now and you will be ready to buy when the deals go live. If you haven't met Jennifer Maker yet – then you must. 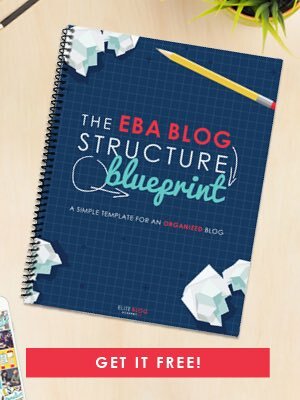 Jennifer has built a wildly successful craft blog from scratch and she shares all that she has learned about blogging in two amazingly useful blogging courses. For Black Friday – she is offering a huge discount of 25%. Take advantage of this year's Black Friday and Cyber Weekend promotion and get 5 and a half months free off any annual shared plan. Expires 11/26/2018. Stay tuned to this space. I will be updating the offers as I learn about them. But I can tell you that there will be discounts on popular blogging courses, blog hosting services, and much, much, more.